Bubs has been loving every single bit of his 2 week school break. I sometimes fret about Bubs being an only child and to reduce my mummy guilt, I try to arrange play dates with friends. We were at the beach again with Siew and her family for a picnic on a lovely, scorching hot day. 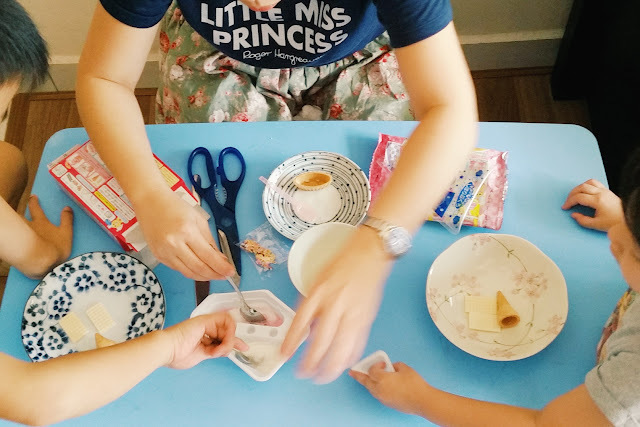 My jaw dropped when I saw that Siew prepared a lavish feast of chicken wings, stir fried noodles (Maggi to be exact, she knows my favourite), fresh fruits, a picnic blanket and even a gallon of fresh water to clean up afterwards. 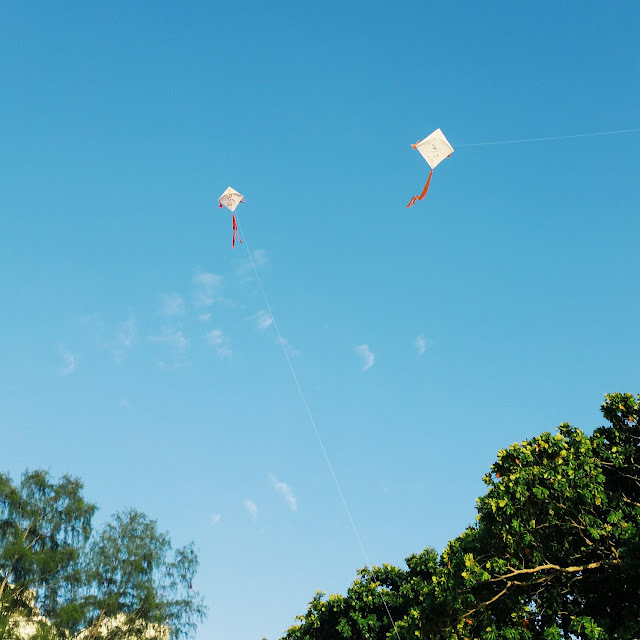 The best part was that her hubby made kites from scratch for the kids to play with! Bubs was so thrilled to feel the kite tugging strongly at the string in the late afternoon sea breeze. 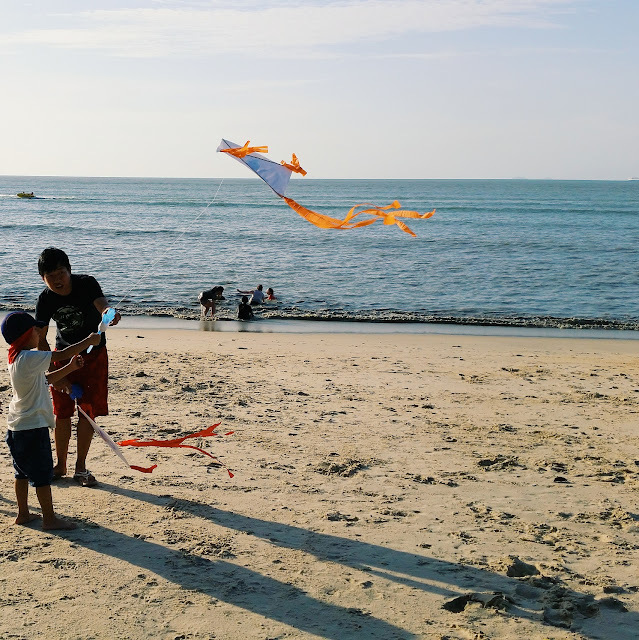 Eventually when Bubs and Jaz got tired with the kites, Hubs and Siew's hubby were the ones running along the shore with the kites soaring up against the azure blue sky. If you look close enough, you can spot Sofia the First and Olaf the snowman on the kites. 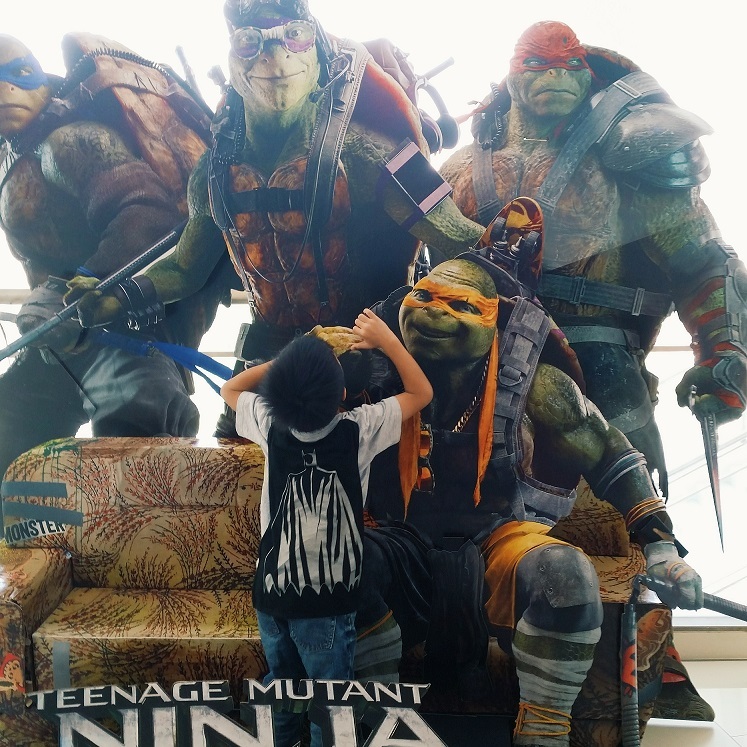 Teenage Mutant Ninja Turtles isn't a movie that ranks high on my to-watch list but given that Bub's cousin wanted to watch it and Bubs was begging us so hard to let them watch it together - I gave in. The two of them were unbelievably engrossed and quiet as church mice during the entire movie. In fact, Hubs complained that I was the annoying one that couldn't stop whispering, "Why am I watching this? Is the movie going to end soon?" 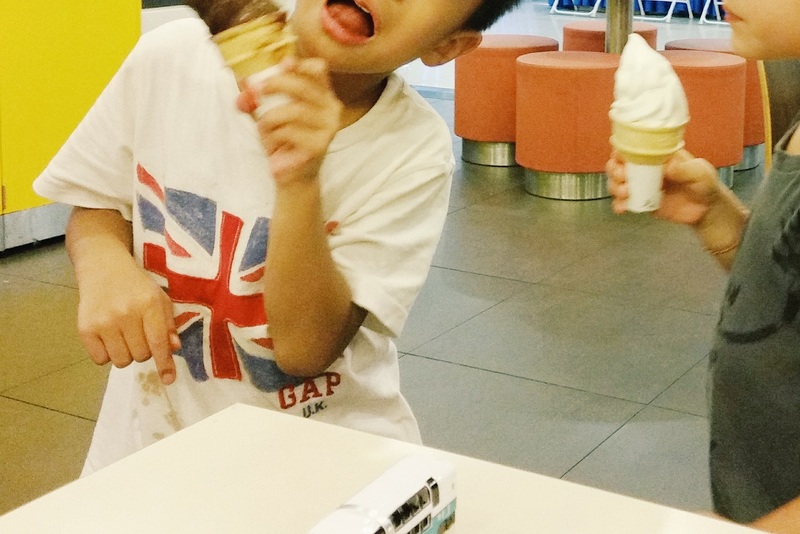 Bubs met up with his school bestie and the both of them spent 5 whole hours at the pool and playground outdoors. They were as brown as nuts at the end of the day and even more delighted when we suggested a rare lunch treat of McDs followed by sundae cones that they proudly lined up to buy themselves. 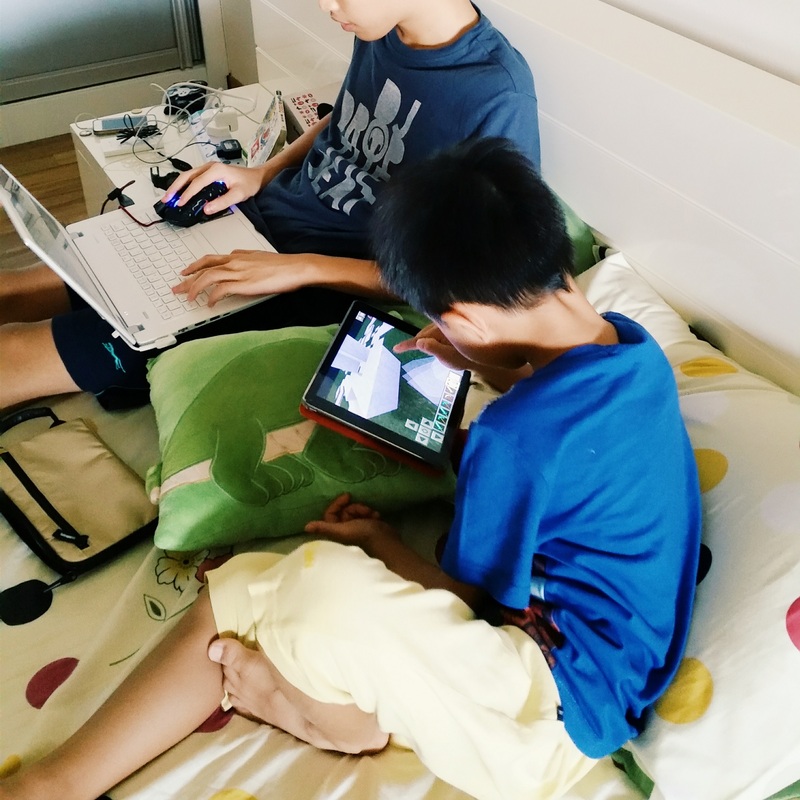 Bubs enjoys watching YouTube videos of kids playing with Kracie Popin' Cookin' sets so he was over the moon when Siew came over with the ice cream set. Jaz and Bubs were so excited and kept begging to be allowed to help out. Needless to say, our creations did not even look close to the ones on the box and although it was edible, it reminded me of that yucky fever medicine taste.